Many of us always would like to know the most recent messages we received on messengers. We generally use notifications for that and we use those for several applications on our tablets and phones. It is also very important for WhatsApp users. Many of app users are using this messaging and calling system instead of using mobile network connections. Because it is much cheaper and much faster. 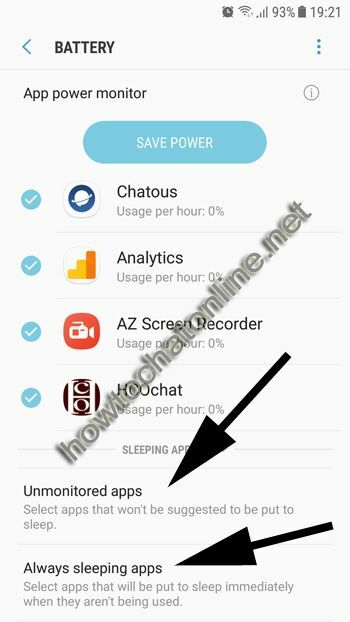 However there is a common problem of the application for sleep mode. Actually this problem occurs because of the Android version at all. We are going to tell you how to fix this problem of both iOS and Android. If you are having problem with only sounds of the notifications, please click here to see solution for Android and click here to see solution for iPhone. Notification problem on WhatsApp is common for Android 6.0 Marshmallow devices unfortunately. You can find solutions for Android 7.0 (or higher) and Android Marshmallow 6.0 below. 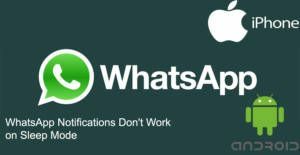 Settings > Device Maintenance > Battery (Please ensure that power saving mode is off on battery page) > Tap on Always Sleeping apps > Check if WhatsApp has been listed there > Go Back > Tap on Unmonitored Apps > Add WhatsApp to the list.